We have a solid roster for the coming season, with many athletes starting training this January. 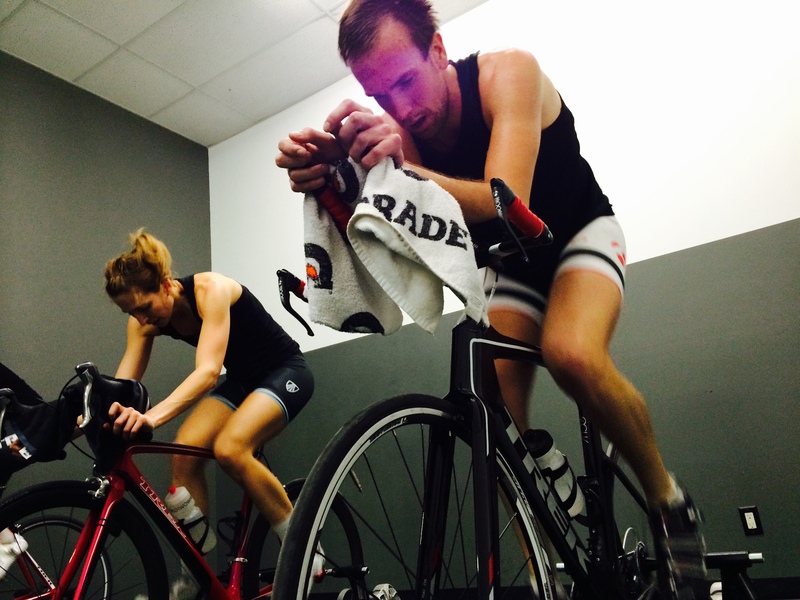 Cycling classes at Pat’s Gym have been well attended by athletes who are putting in the work now in order to make their 2015 season a success. Good news for anyone who works at Trek Bicycle: I will be teaching 1 hour cycling classes Tuesdays and Thursdays at 11:00am for the months of January and February. These classes are part of the Trek Wellness Program and will be free to all Trek employees. T-shirt and hat orders are in. If you haven’t picked yours up already, contact me to set it up. Kits have been ordered. 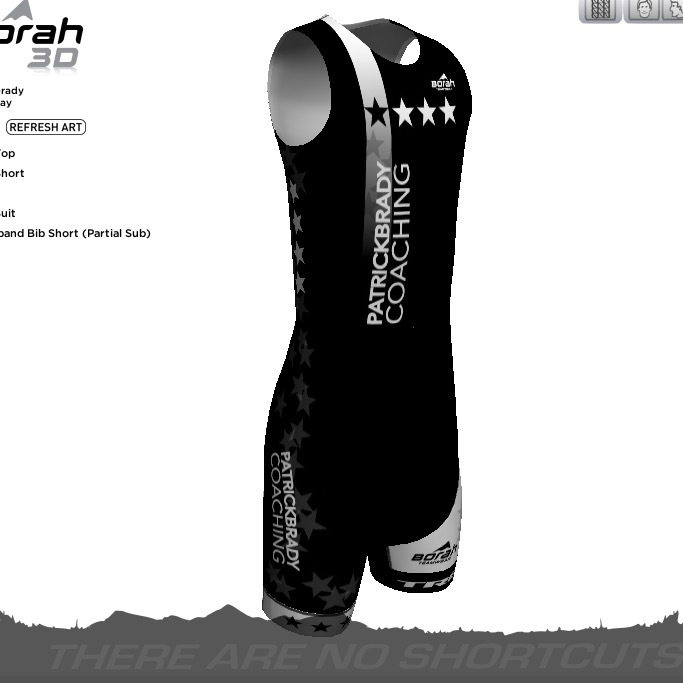 You’ve seen the 2 piece triathlon kit and the road kit. 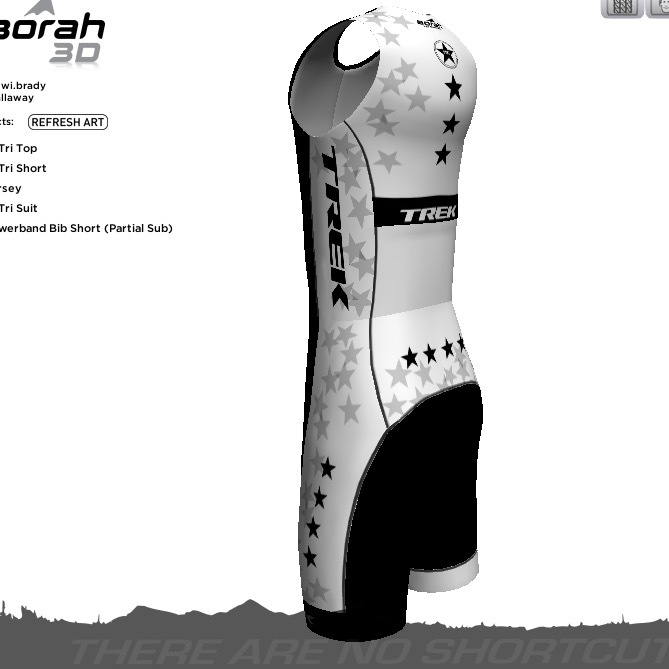 Here is what the 1 piece tri suit ended up looking like (but with pockets). We are hoping to have them in hand sometime in February. Looking forward to a great 2015! See you out there.